Imagine a world without poverty. What would it look like? Is it even possible? How do we get there? When people working at foundations, nonprofit organizations, and government agencies dive into this topic, they typically do so with the assumption that poverty is just a natural part of the universe. And yet, if they simply looked to the anthropological literature, they would think very differently. Poverty appeared recently — some 10,000 years ago when we entered the Neolithic Age of agriculture with its permanent human settlements, stratification of wealth and inequality, and the invention of imperial conquest. Poverty doesn’t arise, it is created. As software engineers would say “it is a feature, not a bug” of all economic systems built on hoarding behavior and the concentration of power. The best academic sources for this topic are Moral Origins: The Evolution of Virtue, Altruism, and Shame by Christopher Boehm and Debt: The First 5000 Years by David Graeber. Boehm’s work includes a detailed exploration of the anthropological literature on hunter-gatherer societies with particular focus on the emergence of social morality. His analysis makes clear that egalitarianism ruled the day throughout the vast majority of human history. Would-be dictators could not rise to power because their selfish behaviors would jeopardize the social cohesion on which the tribe depended for its survival. Graeber’s work corrects a widely held misunderstanding about the invention of money. Contrary to what is said in nearly all economic textbooks, money did not arise to help people barter goods with one another. In every historic instance where some kind of coinage was introduced the scenario was the same. A warrior chieftain would rise to power, build a professional army, and begin to pillage neighboring lands. Soldiers were unable to grow their own food, make clothing, or build shelter. So they had to be paid money (and the conquered were forced by the threat of violence to accept it). I share these bits of anthropological evidence as part of the Story of Poverty Creation. Throughout most of human history, there was either enough for everyone or the group suffered collectively. Poverty didn’t exist. Until, that is, complex societies arose, following the agrarian revolution, with separate social classes and the now familiar divisions of labor we take for granted in our own industrial world. The social cohesion expressed in small tribal groups (e.g. shaming or punishing would-be dictators to keep them in check) was broken apart by the hierarchies of power. These hierarchies were accompanied by the invention of two new qualities in human communities — inequality and poverty. The few would hoard the riches by making it scarce to the majority. So we should be able to envision a world without poverty quite easily. Just think back to the small bands of humans hunting and gathering on the savannah throughout most of our history as a species. Of course, this is not a very satisfying picture for the 21st century and the global civilization that brings us so many wonders of the modern world — medicine, long life, the ability to travel, such a wondrous variety of foods and cultures to explore, etc. So we still have a challenge of envisioning the great complexities of social life today without any hint of chronic poverty. Luckily, the puzzle pieces for building such a world can be found in the same antiquities from which we sprang. It was the capacity for group sanctioning of anti-social behavior that kept small tribes from starving the majorities of their kin. In today’s world, this sanctioning process will naturally be more sophisticated — transparency and accountability through public institutions, decentralized communication systems, and so forth. But the basic principles will be the same. Humans got to the present by acting out our cooperative social morality. We are still genetically very much the same as we were when this innate psychological capacity evolved in our ancestral lines. And so we can take the many findings from human evolution and apply them to the present to start building a new world without poverty. It may frustrate the many “charity” groups who earn their livings by serving the poor to learn that more schools, trucks filled with food and supplies, and “bandaid” solutions with regard to the spread of disease or violence against women are not going to be enough. We have to bring chronic inequality to an end by radically transforming the paradigms of finance and political power –in other words, change the way we sanction moral behavior as a society — before we have any hope of bringing global poverty to an end. From there, it becomes possible to see many structures of society (e.g. tax havens, corporate subsidies, money-influence in elections, etc.) that help create poverty. But in order to see these structural causes, we must first recognize that poverty itself is a human invention. We create it by design. And by design, we can unmake it. Joe Brewer is a researcher at Culture2 Inc. where he combines insights from complexity research, cognitive science, and cultural evolution to address major challenges confronting humanity. He works extensively with nonprofit organizations, government agencies, and social impact businesses to support the transition to planetary thriving. I don’t believe that money was invented to pay soldiers, or to barter, either. Special purpose moneys in ethnographic accounts exist to facilitate ritual and ceremonial transactions, often involving important transitions like marriage. I dare say the same was true of early money. As to the charity industry: people I know who are in NGO’s and aid agencies are mostly aware of these general points and can envision a world without poverty. Don’t hold your breath, but it’s possible. I encourage you to read Graeber’s book for a fuller account of the history of money. One thing he notes throughout is that ritual items were indeed given symbolic value in many early societies, but were not used in a transactional way. True monetary currencies were necessitated by the creation of professional armies and operated differently in imperial societies than did the totemic objects used in a diversity of ways in ritual settings. Joe, How do you define poverty? Would you not call a starving group of hunter-gatherers poor just because they were all suffering more or less equally? I am defining poverty here as the chronic inability to provide for basic needs at the societal scale. You are correct to point out that an entire tribe could find itself in the unfortunate situation where food was scarce and everyone (all 30-50 members of the group) were starving. But that would be different from the condition of “starving masses” where an unequal distribution of resources causes a small elite to live in luxury while a large number of people go without. It is this mass poverty that is only possible in large population groups where inequality is built into the structure of the society. Would not poverty in Alabama, USA be somewhat different from poverty in Ivory Coast? The anthropological evidence is more nuanced than your essay allows for. 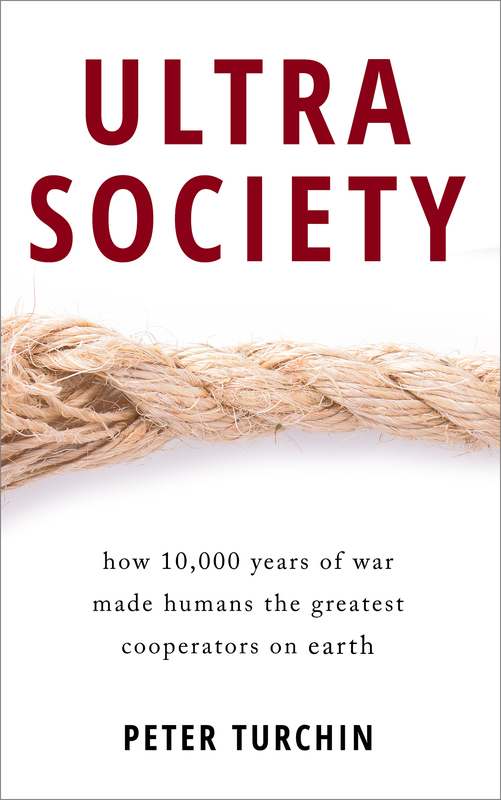 The way I read Christopher Boehm’s work, many hunting and gathering societies achieve highly egalitarian results by evolving specific institutions that suppress the tendency of smarter, stronger , and more aggressive individuals to dominate others if they can get away with it. Some wealthy hunter-gatherers did create highly unequal societies. The most famous cases are the salmon fishing people of the NW Coast of North America. At least sometimes, agricultural peoples also develop highly egalitarian cultures or sub-cultures, for example modern North American Anabaptists. Others rather tightly restrict what dominant individuals can get away with, such as the Enga of Highland New Guinea (see Polly Wiessner’s book Historical Vines). Money is widespread in non-agricultural and non-state societies. The NW Coast of California included societies that were so highly monetized (using shell bead money) that kinship based institutions, so strong in the inegalitarian societies around Puget Sound and northwards were minimal. Most exchange of goods in NW California outside nuclear families was for money, while in the highly ranked kin based groups to the north money was not used and goods flowed up to lineage heads to be redistributed out to their kin. Those coastal societies along the Pacific Coast of North America are exceptions that may help demonstrate the broader rule of hunter-gather societies. For one thing, they existed for something akin to 10,000 to 14,000 years. And so were later stage societies relative to the span of human history. Also, I recall that many permanent settlements were established along the coast due to the unusual climate and trade affordances of that region. P.S. I live in Seattle and am very fond of the Pacific Northwest! As I was thinking more about the nuanced perspectives on hunter-gatherer societies in the Pacific Northwest, I stumbled onto this web page where the evolutionary origins of inequality for the tribal peoples of this region are discussed in more detail. I came away thinking that this was a slightly more elaborate argument that makes the same point I am suggesting here — namely that the shift from scarcity of valued commodities (e.g. food) to abundance will enable the “aggrandizers” as Brian Hayden describes them to begin hoarding and accumulating wealth. An analogous process is what I am surmising to play out in early agrarian societies as well. While many hunter gathers were altruistic within groups, they were hardly so between. Generally, tribal warfare was the norm — and as a result the rate of violent death was astronomically high — at least 20x higher than in the last century. I don’t then think that these groups are ideal examples of the type of egalitarianism which you want. Also, you are neglecting consideration of genetic interest. People tend to be more altruistic to those more genetically related as doing so is gene promoting (Hamilton’s rule). Hunter gather tribes represented not largely extended families; this relation broke down with agricultural societies. Presently, there is less evolutionary incentive for that degree of altruism (outside of the immediate family). A third issue is that human evolution has been rapid. During the Holocene there likely would have been positive selection for inegalitarian dispositions (which vary individually) at least in some global regions. Undoubtedly, though, many have a strong egalitarian dispositions, And social shaming can be used as a tool for whatever end you want. I agree with you that we should take care to avoid falling into the trap of idolizing the “noble savage”. 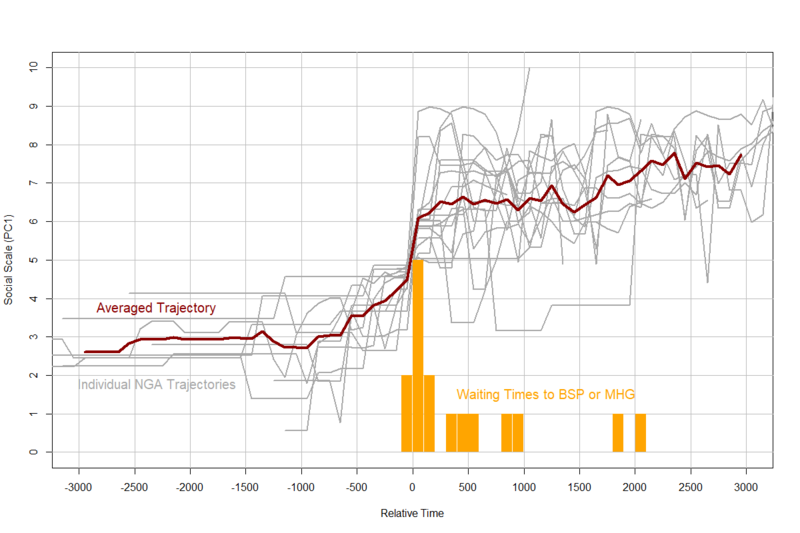 There was indeed much greater intergroup violence in pre-agrarian societies. And of course, many evolutionary factors come into play at the individual and group levels. I would argue that the inegalitarian sentiments were always part of the dispositional mix of affordances — meaning that there have always been individuals who strive to dominate others (current best estimates of psychopathy, as one expression of this, are that approximately 1% of every society is psychopathic). Yet I would further argue that it is cultural evolution through emergent organizational forms and incentive structures — which helped establish and reinforce social norms of dominance of subjugation — that unleashed these tendencies at the social scale after the onset of agrarianism. Further I would say that many modern societies have moved beyond this model of social organization. They are the social democracies that provide strong court systems for sanctioning anti-social behavior. These societies — Finland and the Netherlands as two prominent examples — have low levels of violence; well supported social welfare systems of public education, universal healthcare, affordable housing, etc. ; and open markets with transparency and regulatory oversight to protect against predatory behavior. It is worth noting that these egalitarian post-industrial societies also rank high on measures of happiness and general well-being. This is is just not true. First, you need to define what you mean by “poverty”. Second, and very much related, you should not equivocate between the concept of “relative poverty” (some folks in society have much less than others, essentially, inequality) and “absolute poverty” (some folks in society have very little). “Absolute poverty” to a significant degree characterized pretty much all societies before the industrial revolution, hunter gatherers included. True, along some dimensions (like leisure or health), hunter gatherers may have been better off than pre-industrial agricultural workers (and along other dimensions maybe worse off). But the vast majority of both lived in what we would by any reasonable standard consider “poverty”. It’s possible to argue that “relative poverty” – that is, inequality – is a post-agricultural phenomenon. I have my doubts on this. Pre-agricultural societies, much like even hunter gatherer societies of the past 200 years were very diverse. Some were egalitarian, some not so much. Some people really want to draw sweeping conclusions based on anecdotal evidence which is usually meant to buttress some ideological pre-conceptions. But it doesn’t work that way. Don’t get me started on Graeber who’s only barely relevant here anyway. Anyway. It’s just not true that poverty did not exist or that it was somehow created. 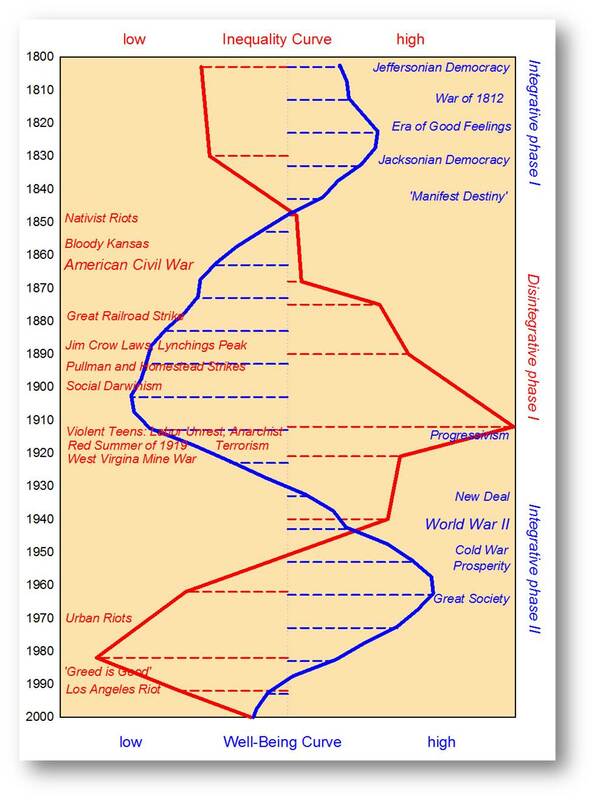 Poverty characterized human existence prior to Industrial Revolution (few blips aside). The thing is, I actually really do believe that it is possible to eliminate (absolute) poverty, though “possible” does not mean “easy”. And “going back to small bands” is actually moving in the wrong direction. Have you read Boehm’s book, radek? Or his other one, Hierarchy in the Forest? 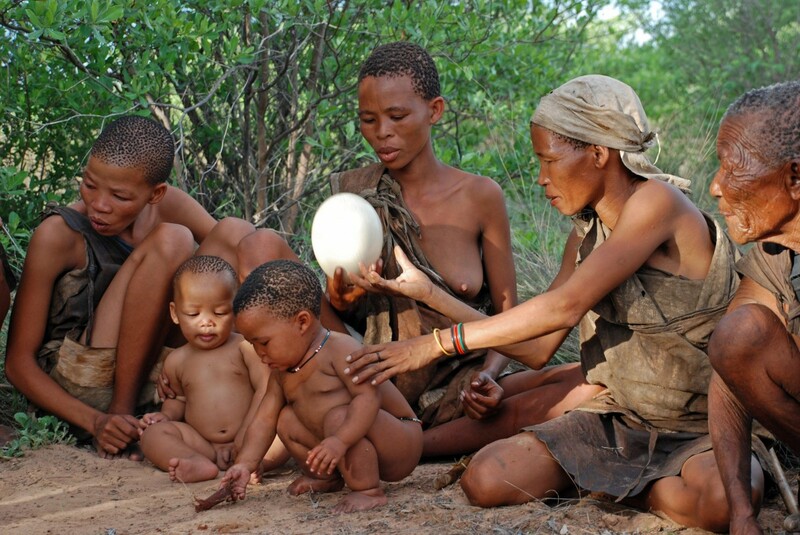 Egalitarianism is the norm among hunter-gatherer societies. The argument being that group selection processes arose to support cooperative behavior — in particular with respect to big game hunting and the sharing of meat. Boehm delved deeply into the literature from other researchers and built a database of many diverse tribal cultures. All of them displayed significant levels of egalitarianism, democratic governance, cooperation, and — key to this argument — moral sanctioning against anti-social behaviors. And just to be perfectly clear, I am not advocating for a return to small bands of hunter-gatherers… quite the opposite. I advocate for sanctioning against psychopathic behaviors of greed and excessive hoarding to enable our complex global society to continue its existence. Too much inequality will lead to a breakdown in social cohesion, widespread loss of trust in fellow community members, and the dissolution of societies. This would be a very bad thing. To avoid such a scenario, we need to alter our political and financial systems to promote greater equality and remove the incentive structures that reward psychopaths for causing harm to society for personal gain. Joe, thanks for the reply. I am willing to accept, with some reservations, that a “typical” hunter gatherer society was more egalitarian than either pre-industrial agricultural societies or modern ones (my main concern here is really just that sometimes it appears people over generalize this phenomenon). But inequality is not the same thing as poverty and I do believe that confusing the two both muddles the issue and is a bit of intellectual sloppy thinking. And that can also carry over into policy prescriptions, as the proper way to address poverty may be different than the proper way to address inequality. As an example, consider that the Central African Republic has a per capita, purchasing power adjusted, income of about 600$. The average person lives on less than 2$ per day. That means that even if you had “perfect” redistribution of income and eliminated all inequality in the CAR, everyone would have the income of 600$ and would be in poverty. In such an economy redistribution just cannot achieve the goal of eliminating poverty. You need growth in the average income first. On the other end of the spectrum you can have a developed country such as the United States, where, at least by world standards, “poverty” has been virtually eliminated, but you still have a highly unequal distribution of both income and wealth. In such countries, redistributive policies can have much more “oomph” behind them (as long as one considers that inequality is a “bad thing”). Above you define poverty as “chronic inability to provide for basic needs at the societal scale” and that is also close to the definition I would use (what exactly constitutes “basic needs” should probably be defined a bit more precisely). But by that definition, pre-industrial societies, whether agricultural or hunter-gatherer, had a lot of poverty (again, with a few exceptions) while modern ones, at least as far as developed and most middle income countries are concerned, have very little of it. They might have a lot of inequality, injustice and unfairness even, but the kind of “living close to the brink of subsistence” that has characterized most of human history is actually fairly rare. I appreciate the way you are starting to unpack the issues around poverty and inequality. One of my goals in writing the essay the way I did was to pull inequality and injustice into the central problem space of poverty alleviation. This is something that the narratives around aid, charity, and piecemeal approaches like the Gates Foundation’s work on vaccines (which is good, but insufficient) actively avoids doing for a number of psychological and political reasons. Two of my colleagues in the work on poverty alleviation are Martin Kirk and Andrew Darnton, co-authors of a report called Finding Frames: New Ways to Engage the UK Public in Global Poverty. 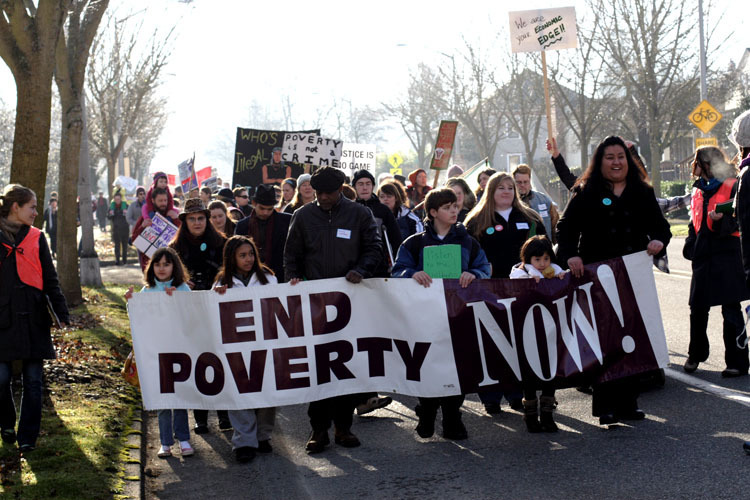 Together we analyzed the poverty discourse and found that systemic causes like the economic drivers of inequality were kept far removed from the efforts to end poverty. This had the results of concealing key drivers of poverty creation such that it would be impossible to bring to an end so long as the issues were framed as aid and charity — both of which presume a privileged position for wealthy people/societies while anonymizing and making passive the “victimhood” of the poor. So this effort I am engaged with now — to reveal how the rules of economic systems are set up to extract and hoard wealth — is informed by insights and discoveries that are beyond the scope of the essay posted here. I take it Peter Turchin is forced to give voice to leftist commissars so he can go on writing his blog and keeping his academic post, right? Must have been fun going from the USSR to the USA. See the new boss, same as the old boss. POVERTY: An institutionalized debt structure based on a human belief system that we owe a sacrifice to a deity. 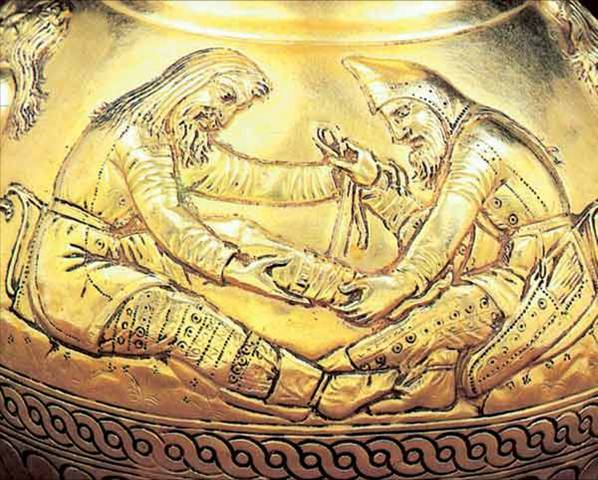 A historical conflict emerged as to who represented the deity, in some cultures it was the lineage of a family of nobles in others a system of priests. Money evolved as the method rulers used to manage debt for a specific geographical boundary that they controlled. The history revolved around trade between various cultures but before currency the dept was collected by acts of retribution – commonly known as slavery or sacrifice. If you’re going to claim that poverty appeared recently, then you’re going to need to define your terms, because the vast majority of humanity has always lived at subsistence levels. If you’re going to define poverty as the chronic inability to provide for basic needs at the societal scale, then no extant society has experienced poverty, by definition. If you’re going to define poverty as having starving masses, then, again, that describes all societies, at least during their leaner years, up until the modern era. Another distinction we need to make is between the dynamic patterns of hunter-gather societies (with natural size limits of a few dozen members) and those of permanent settlements with growing populations (agrarian societies with tens of thousands up to millions of members). There simply cannot be “starving masses” if there are no masses to begin with. In this essay, I am seeking to draw out the point that what we call poverty in the modern era practices of NGO’s, foundations, and governments is deeply linked to wealth inequality and the structural rules of economic + political institutions. This kind of poverty was not possible in pre-agrarian societies. It is a feature of the dominance hierarchies that were largely absent from hunter-gatherer cultures, yet have been the norm in the empire warrior states that arose with the advent of agriculture. Thanks for sharing your ideas. Sorry to post this comment so late. Boehm’s books were about the egalitarian ethos within forager bands, which he expressly defines as freedom from dominance by another band member. “…differences of skill, prestige, influence, and authority… were appreciated and accepted.” What was not accepted was dominance and political inequality. Foragers lived a subsistence existence and their population was controlled in great part by Malthusian forces. Within the bands, social standing was critical, and part of how one achieved social status was by being wise, generous, caring, skilled and so on. Free riders, cheaters and exploiters were controlled by gossip, deselection as a cooperative partner, group intimidation and if necessary abandonment or violence. In a cultural species, the risk of seclusion was fatal. Violence was endemic between bands and tribes. When foragers domesticated plants and animals they became substantially more numerous (by a factor of as much as a hundred) and lost the freedom to leave and select whom to cooperate with. Those specializing in force, were able to overcome the egalitarian ethos and achieve political and coercive dominance. Populations were much higher, but living standards were actually worse for farmers and pastoralists. Fast forward ten thousand years and what we see is that all of human history and pre history deals with humans living in poverty. Usually this involved the masses living at about the equivalent of two to three dollars a day while the elites used dominance to exploit a substantially higher living standard for themselves. Poverty eradication is a recent phenomenon and is directly related to the the fact that humans learned how to solve economic problems faster than the population grew. We outran Malthusian forces. Essential to this was the recognition of economics by Smith and Ricardo and those following. Smith called it the “invisible hand”. It is possible to orient institutions in such a way that prestige and relative success (creating wealth) for oneself is accomplished by creating value for others. It is a positive sum network of vast creative, voluntary interactions which create wealth. With economic growth comes unequal wealth and the resources to eradicate the effects of poverty. Foragers used prestige and status to ensure the entire tribe was cared for (accepting free riders or exploiters). Modern economies have figured out how to use prestige and relative monetary results to do a much, much better job of enriching others lives and generating the resources to care for those needing help. I am not saying things are perfect, but this is the best, incomparably so, than it has ever been. I suggest we all understand why before preaching change. Let’s add to success, not undo it. Unfortunately almost nobody understand Malthusian forces. Malthus’ own understanding of the concepts he wrote about, and the interpretations of those that read his writing since, are generally poor. For example, most will say that Malthus said that if war, disease, and vice does not limit the population, then famine will step in to stop it. This is a poor way to say what is happening. It should be stated that child starvation will step in to stop the attempted exponential growth. Famine is some arbitrary large amount of starvation. Since we do not see a significant amount of famine, then we assume that we have “outran Malthusian forces”. This is nonsense. The amount of child starvation will be proportional to how fast we are able to expand the environment, for example by pumping more oil out of the ground, and how many children we average. The child mortality we see throughout the world today is exactly what one would call “Malthusian catastrophe”, if we properly understood the concepts Malthus was so close to understanding. I think we must be aware of the poverty that is forced upon us by averaging too many babies. The concept of evolution makes no sense if we are not cranking out babies faster than the environment can keep them alive. Evolution does not eliminate the breeding of inferior genes and social behaviors by providing condoms, it kills. If we review fundamental facts, the issue should be clear. Reproduction attempts exponential growth. We are on a finite planet, so that growth cannot last for long. Just to get a feel for how fast our numbers should explode, let’s notice that 40+million humans are averaging 6 babies today. If we assume a horrid 1/3 child mortality rate, then each generation is attempting to be double the size of the previous, thus in about 800 years a population of 2, yes 2, reaches 4 billion. In addition, children and only children must die to stop this attempted growth. If the environment is stable, then (x-2)/x children must die, where x is how many babies we average. Notice dead adults do not stop the attempted population growth. Only dead children, and it must be proportional to how many babies we create. Since our numbers were not 4 billion for the past several tens of thousands of years, that attempted growth stopped because we humans flawlessly limited our fertility or we reached the limit where the environment kills the extras we create. We do limit our fertility, but the notion that we do this such that we do not hit the limit and therefore are not killing by cramming too many people into the environment is ludicrous. Unfortunately, nobody really gets this, so I will explain several things that have tricked us into believing that somehow we are not killing because we are averaging too many babies. The first trick is that we humans have figured out how to enlarge the environment. For example farming allows more to live in a given environment than hunting/gathering. Burning fossil fuels to make fertilizer, shipping, food storage, all enlarge the environment, but only temporarily. There are countless technological discoveries that have made sustenance production more efficient, which is nothing more than enlarging the environment. In general we assume we are not at the limit, because our numbers are increasing. But notice nobody asks whether our reproduction simply filled the new space as quickly as it was created, or are we still short of the limit. Given that reproduction has unrelentingly attempted exponential growth, it is idiotic to assume we are not at the limit. The second trick is provided by evolution. Generally all species group themselves together. This improves the odds of each passing along their genes. Given that members of the group will suffer when others are suffering, then when two different groups share the same environment the one with the lower fertility rate will do better. This is because a lower fertility rate will produce a lower child mortality rate. To understand this, flip your thinking to death production. If the group average 3 babies, then 1/3 of the children must die. If accidents and disease and war do not accomplish the required killing, then starvation will step in to handle the rest. If we assume both groups have the same amount of accident/disease that cannot be prevented, and one group averages say 2.5 babies and the other averages 3, then the second group will have a much higher number of starving children. This will bring down that groups overall nutrition and fighting capability, and the other group will win turf wars and drive the other group to extinction. Thus evolution favors a lower fertility rate. However, evolution will not tolerate a group that manages their fertility rate. If one of those groups ensured that they created no baby until someone died, or more rationally if the group practiced a StopAtTwoPlus system. A StopAtTwoPlus system is where everyone can have at most 2 children, and you are allowed to replace dead children, and some are granted more to make up for those that didn’t have 2. The group that did this proper fertility management would have a higher adult life expectancy, an age distribution that has a lot fewer children and a lot more old folks, and no starvation. There would still be some child mortality, but none caused by making babies too fast. The other groups in that environment that do not practice this would be attempting to grow their numbers and would have a significantly lower average age. They would have worse nutrition and average health, but they would have a lot more fighting age individuals to conquer territory compared to the first group. In short, evolution will not tolerate a fertility rate that ensures no deaths caused by too many births. What does this mean for poverty? Well, if we properly understand what I attempted to explain above, we would expect to see groups with horrid adult life expectancy and high child mortality rates compared to other groups in the same environment if we were over breeding and our numbers were at the limit. Today we have 1 environment, the whole Earth because of cheap transportation. Clearly there are groups with these symptoms. You would be silly to count only dollars when examining poverty. High child mortality is absolute poverty no matter how many dollars you manage to count. Inequality is most certainly a significant difference between child mortality rates, and again, I don’t care if you waste time counting dollars. Groups suffering relatively high child mortality is a requirement if we average too many babies.